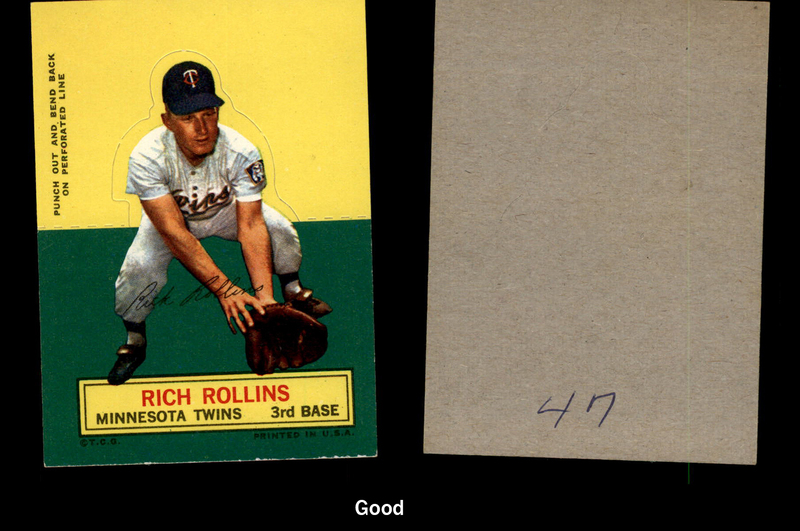 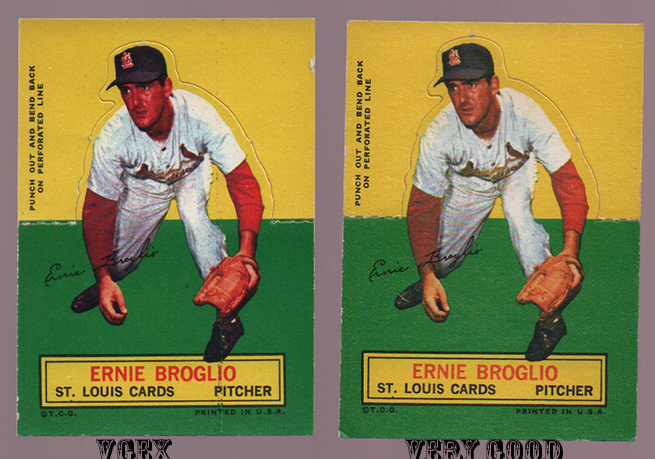 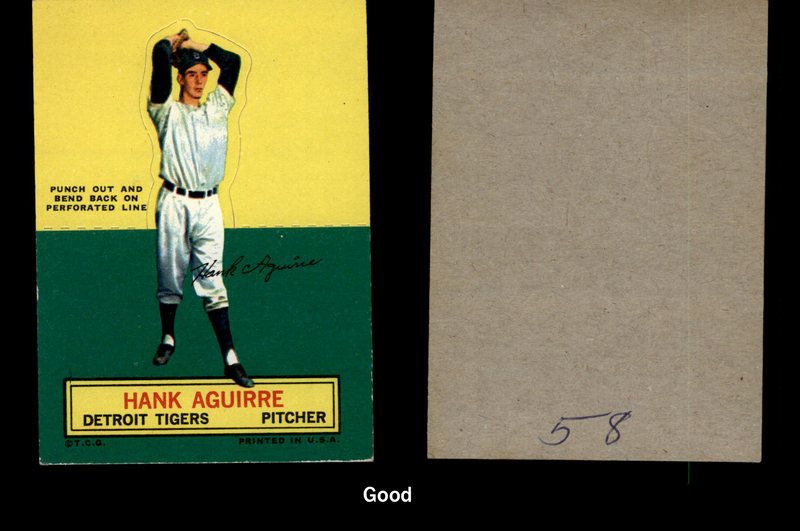 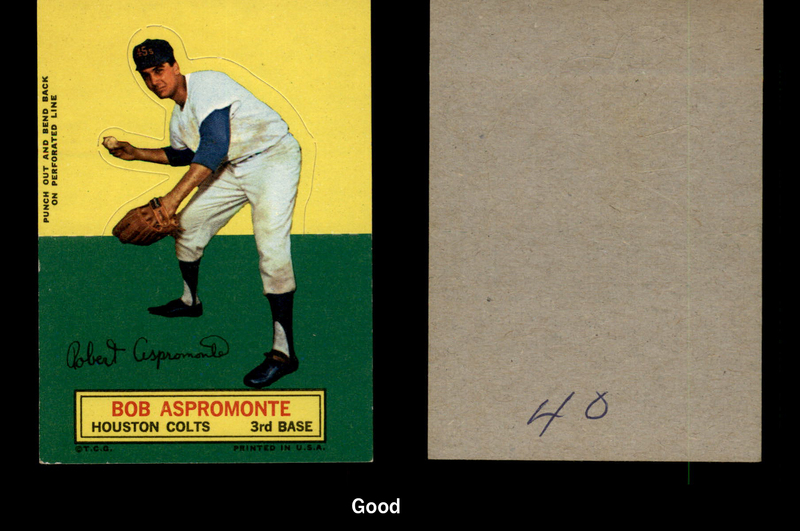 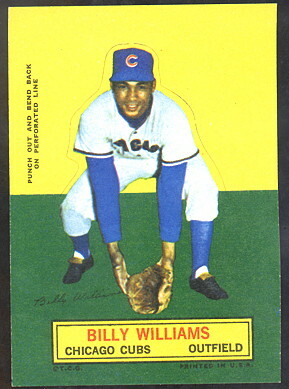 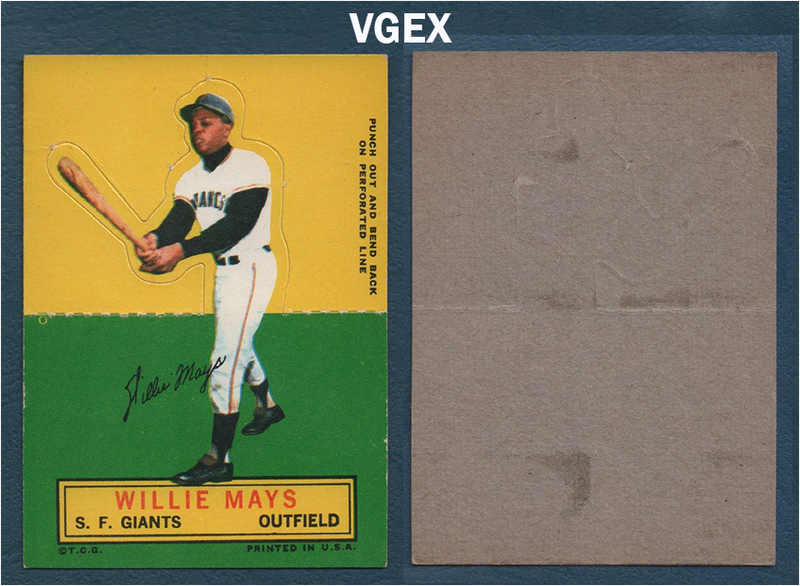 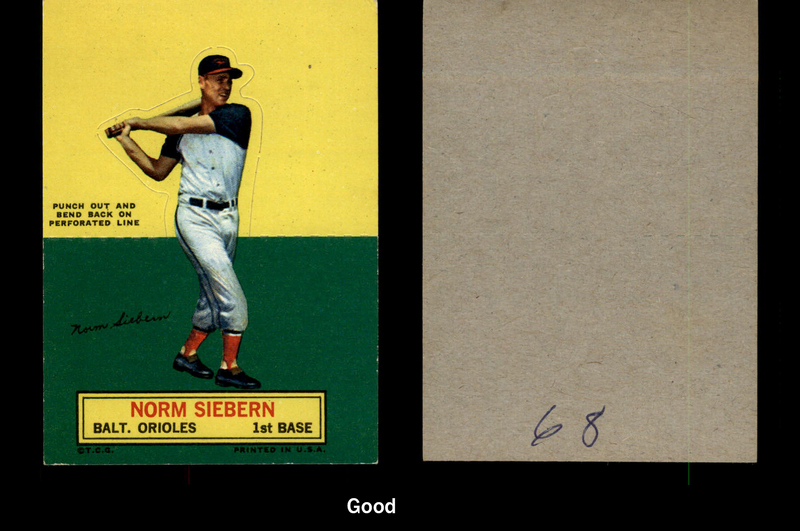 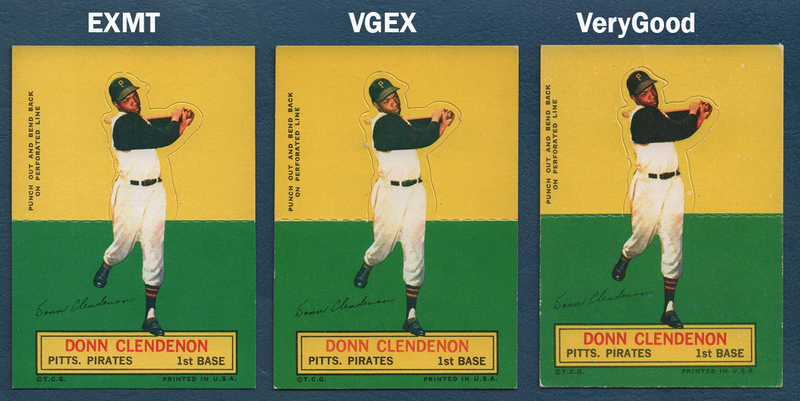 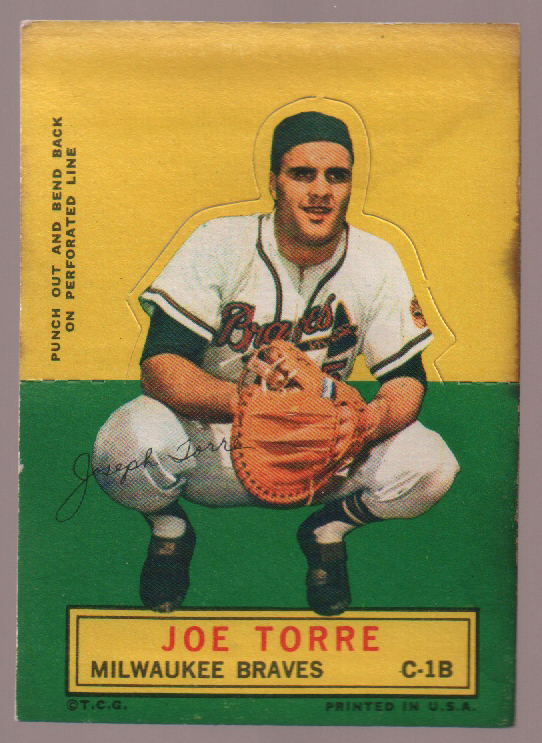 These 2-1/2" by 3-1/2" cards were the first since the all-star sets of 1951 to be die-cut. 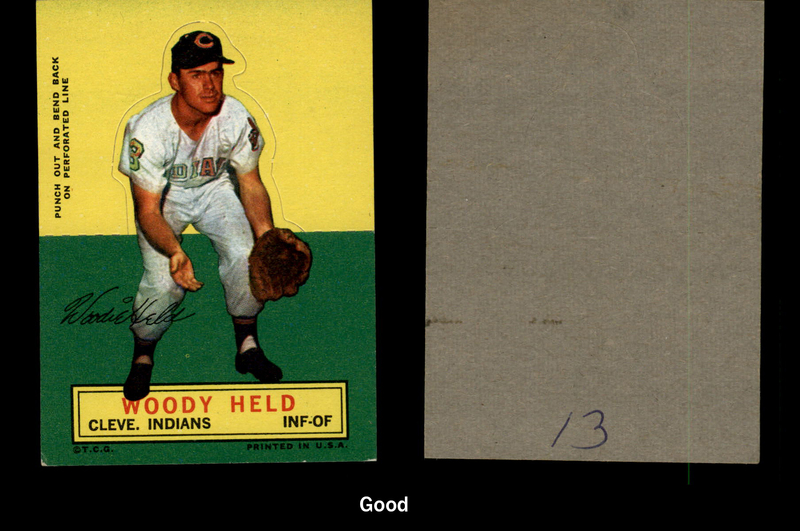 This made it possible for a folded card to stand on display. 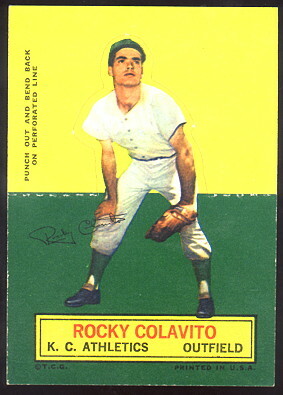 The 77-cards in the set feature color photographs of the player with yellow and green backgrounds. 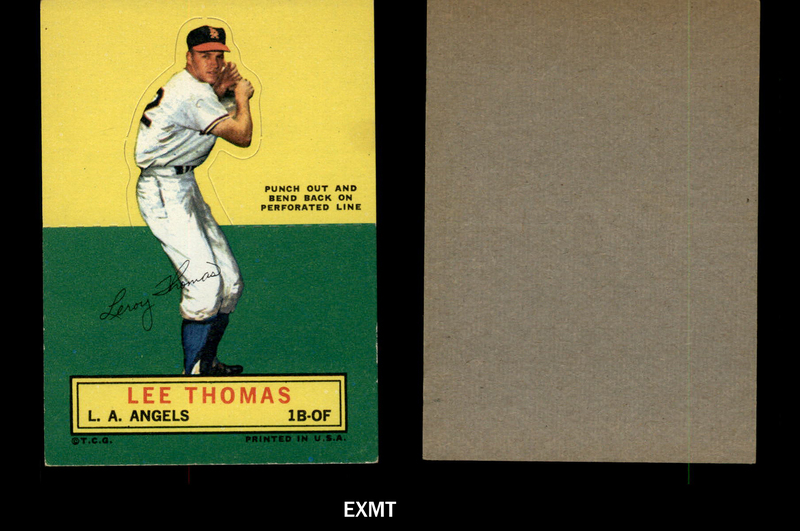 Directions for folding are on the background, and when folded only the green background remains. 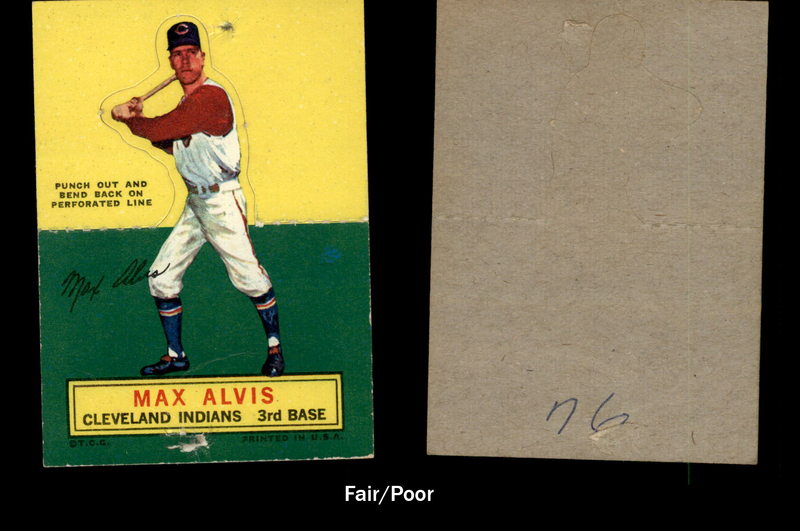 Of the 77 cards, 55 were double printed while 22 were single printed, making them twice as scarce. 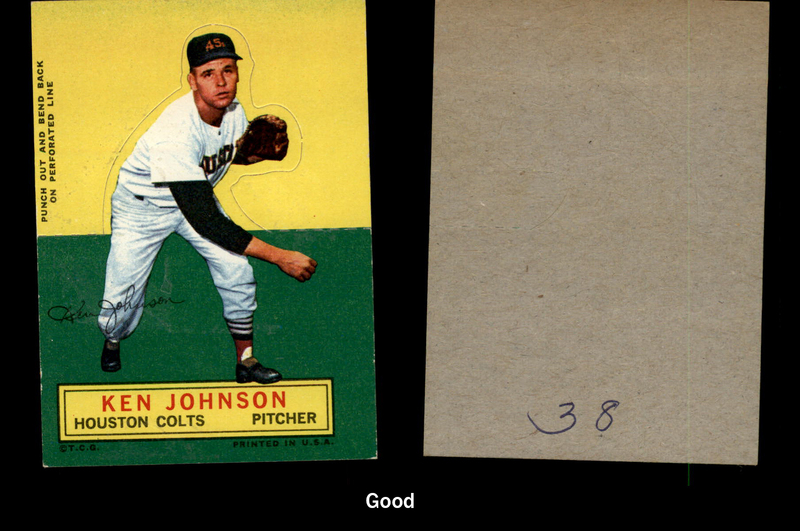 You will notice that many of these cards are priced above the near mint price in beckett. 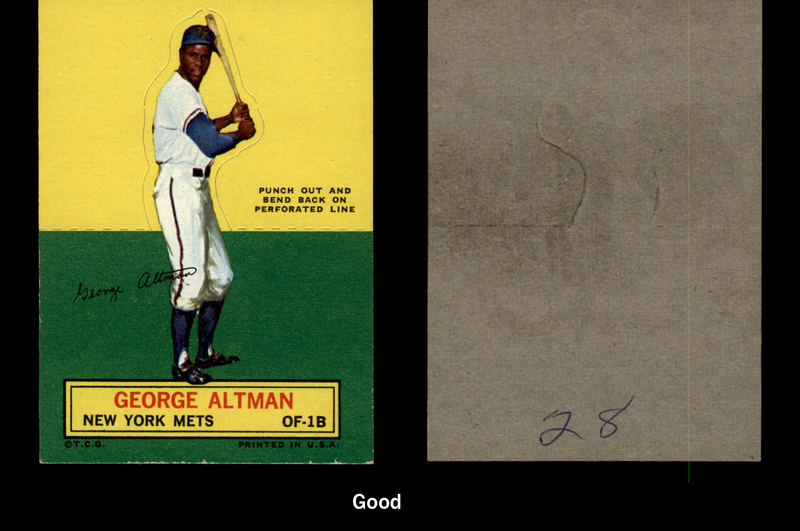 They are priced to reflect their condition. 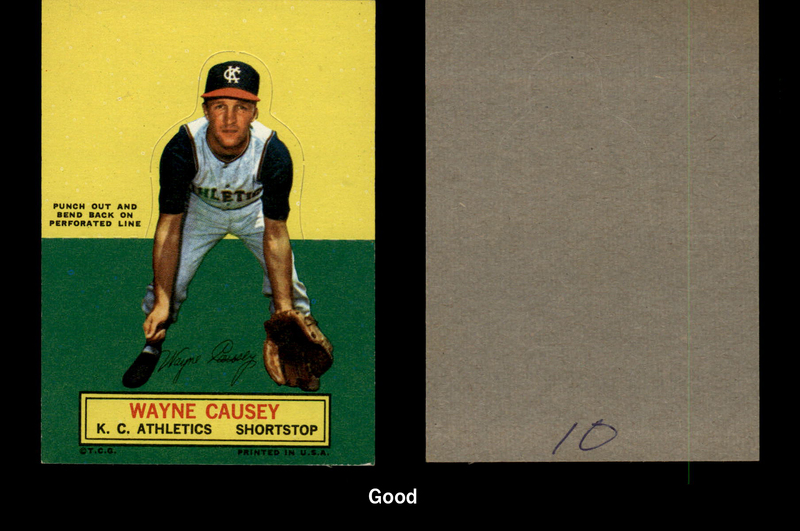 They are in very nice condition, mostly better than near mint.